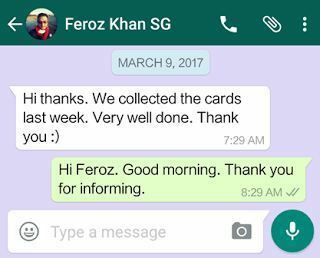 This wedding card is custom designed for Mr Feroz on behalf his friend from Singapore. 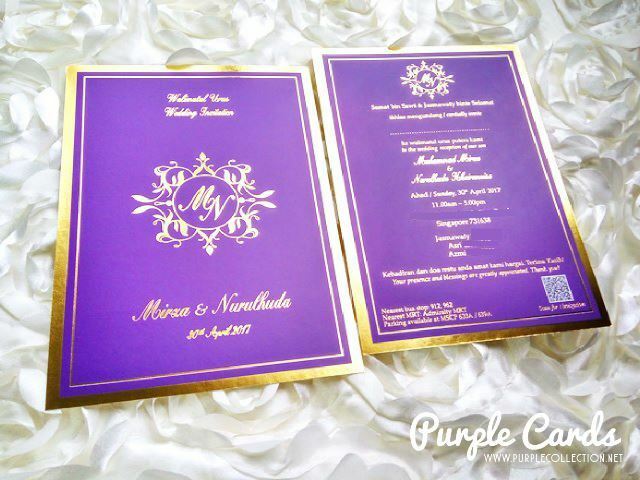 This card is done with gold stamping finishing for front and back, a logo on the front card, and due to limited spacing, a QR code is recommended to scan for navigation. This QR code is linked to google map navigation, easier for their guests to travel to their wedding venue.